Camping runs in our family and we're proud to bring you the best travel trailers in the industry. High Quality, Luxury and Comfort. 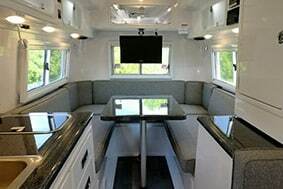 When it comes to the standards we have set, we have truly put in a lot of thought, hard work and care into building the best high quality four season rv travel trailers in the industry. 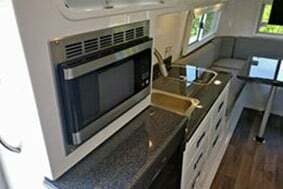 Our travel trailers deliver the ultimate in quality, luxury, and comfort of home. The Oliver Legacy Elite is our 18' 5" single axle lightweight trailer. They are available in the standard floor plan and come with a splendor of standard options and features to choose from. Dry Weight (Approximate) 3,400 lbs. 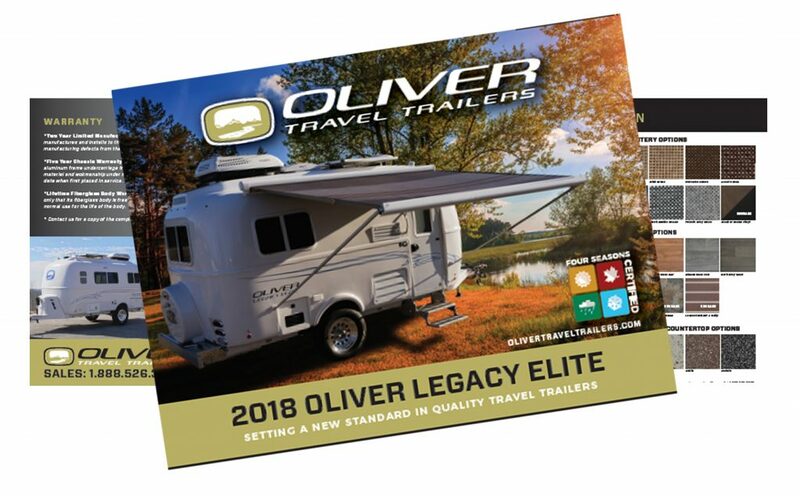 Outside Height to top of optional root mounted satellite receiver 9' 4"
The Oliver Legacy Elite II camping trailers are a 23' 6" tandem axle and designed for easy towing. Available in the standard or the twin bed floor plans. Olivers come standard with tons of options and features. Dry Weight (Approximate) 4,600 lbs. Outside Height to top of optional root mounted satellite receiver 9' 10.5"
When you buy an Oliver, you're gaining a Legacy, one that can be passed down. 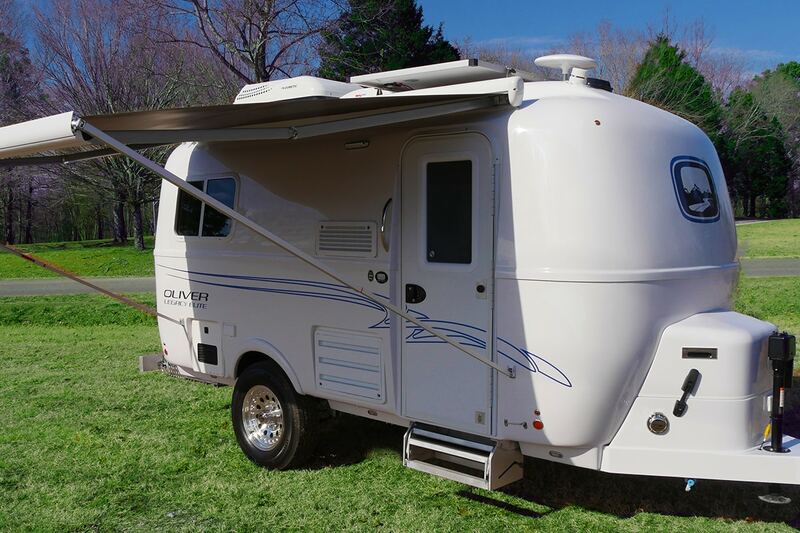 At a competitive price, Olivers are built to last a lifetime and we stand behind our camping trailers. Don't take our word for it, just ask the Oliver owners in the forums. 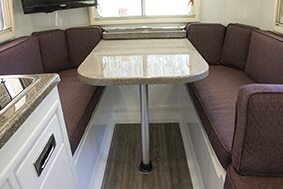 We have put together many ways you can personalize your RV trailer specifications and we offer a great selection of colors, as well as standard options to choose from. 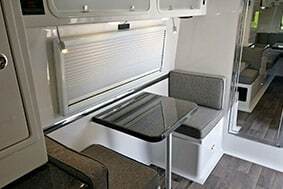 You can do more by upgrading and adding some optional components like the Solar Package that really helps you get off the grid and keep your Oliver trailer powered up for outdoor living. 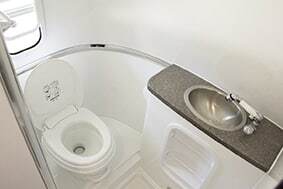 We also offer Bike Rack Mounts for enthusiasts, WiFi Boosters, Cell Phone Boosters, Backup Cameras, and many more Upgrades & Add-ons to help make your Oliver RV Trailer more personalized to your style, wants and needs. 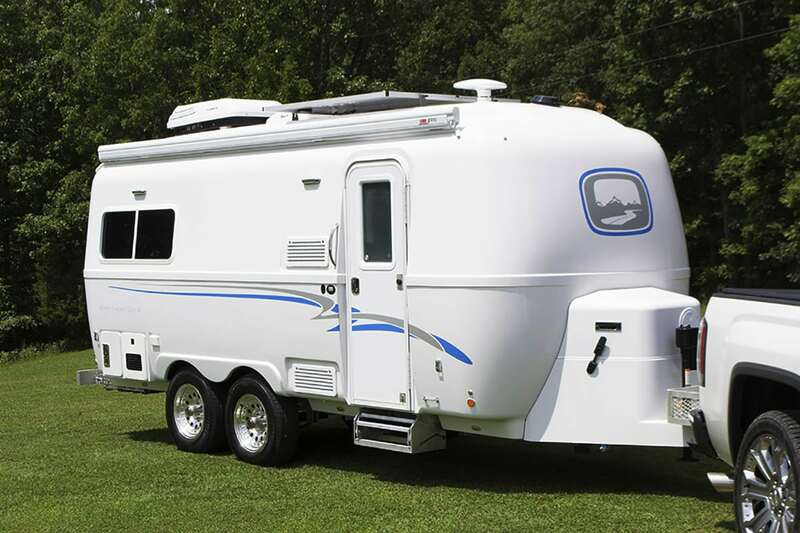 In addition, Oliver Travel Trailers come standard with tons of features and options that you will find as comparative upgrades on many other RVs and motorhomes. 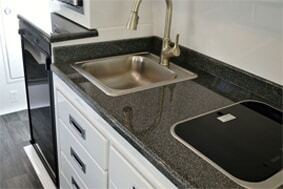 See more about our rv trailer's specifications in our brochure download. Simply follow the button below by clicking on it.